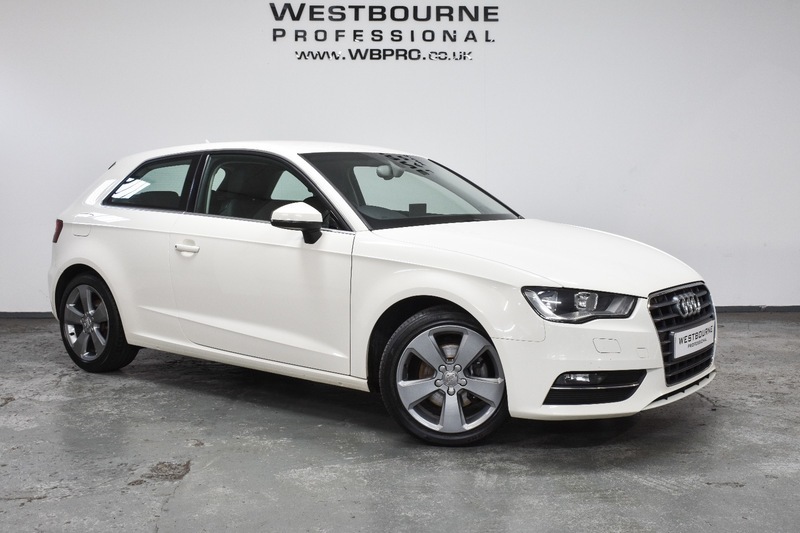 Beautiful example with excellent Sport specification including Rear Parking Sensors, DAB Radio, Bluetooth Telephone & Audio Connectivity, Cruise Control, Preparation for Sat Nav, Leather Multifunction Steering Wheel, Audi Drive Select, Automatic Headlights, Automatic Dual Zone Climate Control and much more. Presented in superb condition throughout, finished in Amalfi White complimented with immaculate 17" Alloy Wheels in Graphite Grey. Supplied with full service history conducted at 19067, 38547, 58848, 69221 and 81657 miles.